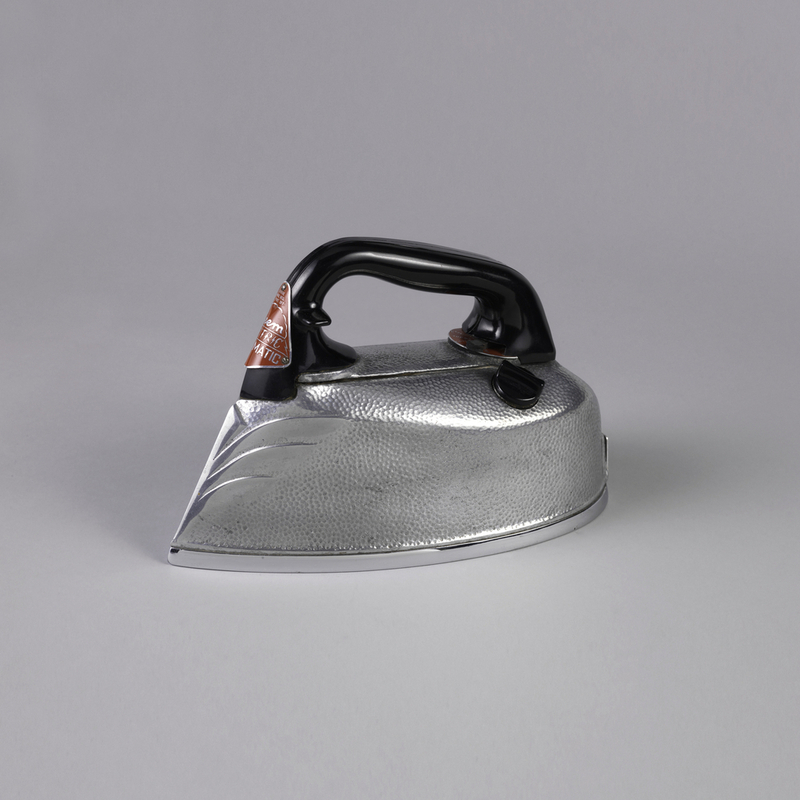 This is a Iron with accessories and box. It was manufactured by Steem Electric Corp.. It is dated ca. 1939 and we acquired it in 1993. Its medium is metal, plastic. It is a part of the Product Design and Decorative Arts department.